Welcome to Pryors Garage Ltd, We are recognised locally as a small independent "one stop" garage, providing a good quality personal service for all your private and light commercial needs. We are a member of the 'Motor Codes', a governing body which regulates and ensures quality. Having achieved being a unipart car care centre we can offer a nationwide 12 month warranty. As members of the R.M.I.F we also adhere to thier code of practice. 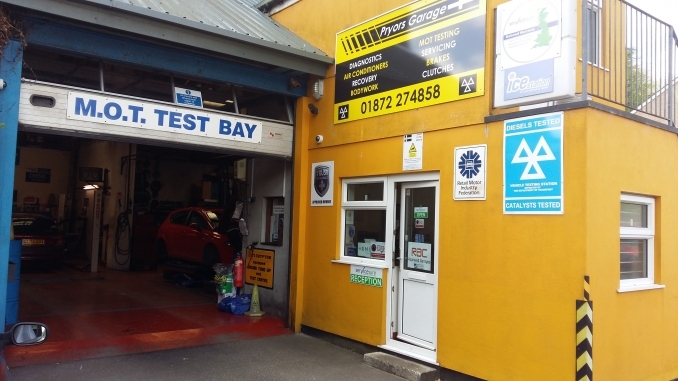 Being the longest established garage in truro we give expert friendly advise and guarantee competitive prices with a first class service.